According to the Options Clearing Corp. (OCC), the average daily options volume was 6,470 in 1973, the year in which listed, exchange-traded options first launched. Since then, the average daily options volume has soared to 16,443,005 – 2,500 times more than it was over 40 years ago. And since weekly options trading started, it’s become the most widely traded of any options class – averaging 25% of any option on the S&P 500. This impressive growth is no coincidence. People are making a beeline to options trading because, the truth is, there’s simply no better, easier way to risk so little and still make piles of money in days or weeks. You just can’t top options for big returns, and now the “secret” is out, and regular investors know it. 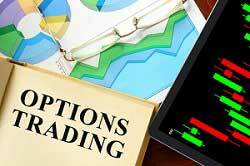 Options offer amazing versatility that you can use in a variety of ways to profit from very small fluctuations in the underlying equity – the stock that you’re buying or selling options on. When you buy stock, you're at the mercy of the markets, which could cost you big time. In fact, U.S. stocks are more expensive now than ever before. So, for example, if you want to buy just one share of Amazon.com Inc. (Nasdaq: AMZN), you would have to spend around $947 dollars. And more often than not, people want to own more than a single share of stock in their portfolios. But with options, you can actually control 100 shares of an expensive stock like AMZN for as low as $500 – serious leverage that can seriously boost your gains. Just imagine the kind of money you could make controlling 100 shares of stock at $500 compared to trading just one share of stock at over $940. Here’s one way to do it. I'm willing to bet that you have insurance on your car or house because it's the responsible – and safe – thing to do. Think of options in the same way. They can provide you with the same kind of safety net for your investments and trades. Since you can control shares of a specific stock, you can also increase your leverage without tying up a large amount of capital in your trading account. You might have a notionally large position in, say, Apple Inc. (Nasdaq: AAPL) with an outlay of pennies on the dollar. And as I mentioned above, options are extremely versatile and offer strategies you can use to boost your profits while minimizing your risk… a luxury basic equity positions simply don't offer. You can quickly – and easily – create a potentially unlimited stream of income by simply adding options to your portfolio. You can buy and sell options that can skyrocket on tiny, 1% moves up or down in the biggest stocks, or set up trades that pay triple digits when stocks or currencies take a tumble. And the best part is… you're not limited by market direction. Whether the market moves up, down, or sideways, there's always – always – a way for you to profit using options. Look at this strategy, for instance. Options used to be reserved for Wall Street’s elite traders. When people first started trading options, they mainly had to rely on newspapers and brokers to find, place, and track their trades. Nowadays, you can search for and place your trades online. And you can track your trades in a matter of seconds – and free of charge – using financial websites like the Chicago Board of Options Exchange (CBOE) and Yahoo! Finance. One of the best benefits of trading options is that you just don't need much money to start. While the minimum amounts to start trading vary from broker to broker, most brokerages only require a deposit of $2,000 or less. That, and trading by a few simple rules, is all it takes. 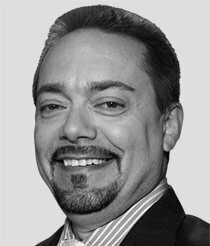 I signed up with Tom from the first trade alert he has put out. at first I wasn't sure how to trade options so I just watched. Then the following week, I placed a trade for one contract ( 100) shares. It didn't turn out as I would have wanted, but hey, I am learning. However, I think it is week four now, and I have learned that placing a option trade to go in only one direction is nice, but extremly risky but what I have found is that I place a call and a put position called a 'DOUBLE PLAY' for toms recomendation. altough it isss more expensive!!!!! I actually loose a lot less money, and I win either way the market moves! by the time the "get out and close" alert comes in on friday. I like the peace of mind that I can buy on monday and not be at my computer through the week but placing a trade in both directions ( call and a put) i purchase insurance against price moving in the wrong and unexpected and EXPENSIVE direction and I can win every time! buy purchasing a call AND A PUT…AT THE SAME PRICE …I get to reserve and hold the line of price.